Upon retirement, a university professor, full professor, or associate professor who has been a tenured member of the University Faculty for ten or more years may be considered for emeritus/a status. Awarding the title of university professor emeritus/a, professor emeritus/a, or associate professor emeritus/a shall be based upon the career contributions of the candidate through a combination of teaching, research, advising, administration, extension, and outreach. An overall record of meritorious service to the university is expected. The candidate supplies a curriculum vitae to the department chair together with a cover letter that includes the date of retirement and a request to be considered for either emeritus or emerita status. If the request is from a full professor, then it is reviewed and voted upon by the full professors and the emeritus faculty in the candidate’s department. If the request is from an associate professor, then it is reviewed and voted upon by the tenured professors and the emeritus faculty in the candidate’s department. The result of the vote and the chair’s recommendation to either approve or deny emeritus/a status is communicated to the dean of the candidate’s college. The dean reviews the dossier and makes a recommendation to the provost. If either the dean or chair recommendation is negative, then the candidate is so informed by the provost and given the opportunity to respond in writing within ninety days. The final decision to approve emeritus/a status is made by the provost, perhaps in consultation with the dean of faculty and others. The current policy is authorized by Senate Resolution 120 (November 2017). Here is the rationale. “Emeritus/a” is a title modifier, a change authorized by the Board of Trustees (January 2018). See Article XVII of the University Bylaws. A retiring professor may become a professor emeritus or professor emerita. A retiring associate professor may become an associate professor emeritus or an associate professor emerita. Regarding the vote, the Chair is expected to make a reasonable effort to contact the emeriti. Conversely, emeriti should always make sure that their department has up-to-date contact information. 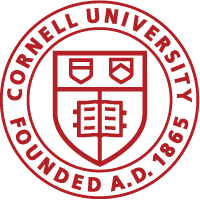 Contact the deanoffaculty@cornell.edu if there are special circumstances that make it difficult to execute this policy, e.g., the retiring candidate is the only full professor in the department. Holders of certain administrative positions can qualify for emeritus/a status. Rules and process.